Serves 4 to 6 – recipe doubles easily, even better the next day. * 6 Italian pork sausages – 3 hot/3 not (Oyama recommended) casings removed and broken up. In a large skillet on medium-high heat, thoroughly brown the crumbled sausage meat in the olive oil – about 10 minutes – scraping the skillet occasionally. Turn the burner down to medium, and add the diced onion and garlic and sauté until translucent – about 5 minutes. Throw in the squeezed tomatoes and let them cook down for at least 10 minutes. Taste and adjust seasoning – salt and pepper, and chili flakes - as required. Add the cream and a handful of the cheese and stir. In a large pot of salted boiling water, cook the rigatoni to al dente. Before draining, reserve a cup of the pasta water. Add three quarters of the drained pasta to the skillet and toss gently. Adjust seasoning. Add more pasta as required. Add reserved pasta water as needed to loosen sauce, gently fold in the basil and serve the sauced pasta topped with the remaining Pecorino Romano and finally, the chopped parsley. Serve with a leafy salad with a pungent vinaigrette, and toasted garlic-butter baguette. 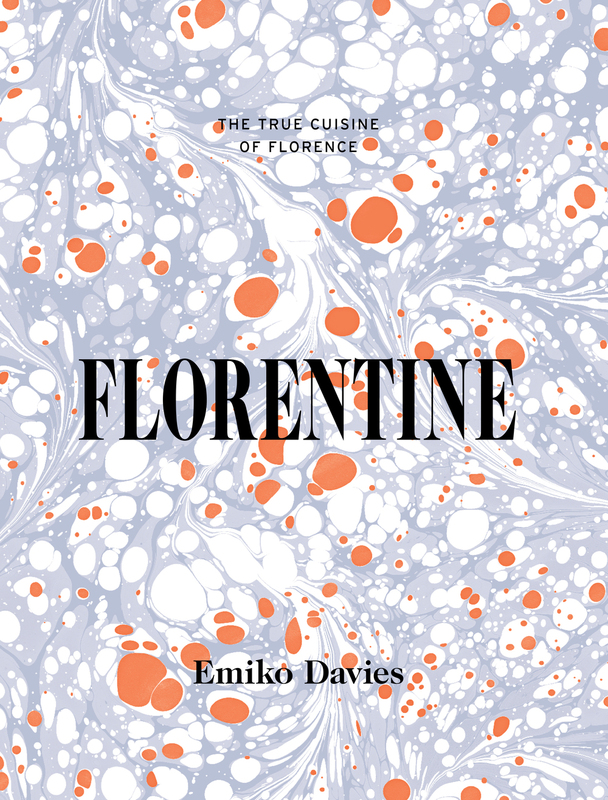 Jamie Maw has been writing about food and drink since shortly after the (first) Crimean War. Salt the salmon lightly and wrap in tinfoil with a good dash of water. Make sure the salmon is well wrapped. Place on a barbecue and cook for about 10 minutes. You can also place the wrapped salmon into an oven at 350 F for approximately the same amount of time. Or place the individual pieces into a shallow pan with lightly salted water and poach for about 5-10 minutes until opaque. Once finished, serve at room temperature, covered with cucumber yogurt sauce and garnished with a sprig of dill. I also serve it with young, boiled potatoes and a light salad. Jochi Schuhberger is an Artist and Photographer in Vancouver. His website is ** www.jochi.ca (http://www.jochi.ca/index.htm) . In a small bowl, combine the cheese, panko breadcrumbs, garlic, olive oil, basil, parsley and salt and pepper. Mix well. Place chicken breasts on baking sheet. Press approximately 3/4 of the cheese and breadcrumbs mixture onto the chicken. Place baking sheet in oven & roast for 15 minutes. Remove from oven. Place the romaine quarters around the chicken. Sprinkle the remaining cheese and breadcrumbs mixture over the romaine, then drizzle the olive oil over the chicken and romaine. Return the baking sheet to the oven. Roast for an additional 10 minutes until chicken is cooked, the cheese and breadcrumbs mixture is golden and the romaine is roasted and browned. Place on serving plates – spritz with a bit of lemon juice & place extra lemon wedges on plates. Christine Couvelier is the founder of Culinary Concierge . Barbecue to your liking. I usually do 4 - 5 minutes per side. Try not to overcook! You could also use a frying pan with a little vegetable or coconut oil. If you do it this way, fry for 3 - 4 minutes per side - again to your liking. Warm or lightly grill the pita bread and/or brioche buns. Serve with sliced Roma tomatoes and tzatziki sauce. To make tzatziki sauce, mix all of the sauce ingredients in a medium bowl. Cover and refrigerate until ready to use. It's even better the next day. Suzanne Foster is a physiotherapist at West Fourth Physio. In a medium bowl, combine the green beans, red onion, and pepper. I find that a lime-based dressing works well with the hot pepper. In a small bowl, mix together a couple tablespoons of lime juice with some olive oil and honey to your taste. Toss the dressing with the vegetables. Add the cooked grains and nuts and toss again. Karin Smith is a realtor in Vancouver. Her website is smithandhamill.com. This recipe is from Barbara-jo's book, Cooking for Me and Sometimes You: A Parisienne Romance with Recipes. This recipe serves one, but quantities are easily adjusted to serve more. In a medium size fry pan over medium-high heat, melt the butter and olive oil together. Add the espelette salt and swirl around. Place the gorgeous, large chicken leg into the bubbling fat and brown on both sides. Add the garlic to the pan - cut in half with the green germ removed - the cherry tomatoes, Nicoise olives and a splash of wine. When the mixture bubbles, reduce the heat to low, cover the pan and let simmer for about 20 minutes. Barbara-jo is the proprietress of Barbara-Jo's Books to Cooks. Peppers – You can cut them into large strips but I find it easier to grill them whole and cut and remove the seeds after grilling. Asparagus – Trim the ends off. I prefer the large fat spears but use what you can find. Red Onion – Cut into rounds 1.5-2cm thick. Green Onions – Cut off the roots. Eggplant – Any size and type will work. Cut into rounds about 2-2.5 cm thick. I prefer the smaller ones as I find they need not be cut further after being grilled. Zucchini – Similar to the eggplant, any size will work. Cut in strips or on the angle (oblong pieces) about 1.5-2 cm thick (If you cut the same thickness as the eggplant, put them on the grill a little earlier.) As with the eggplant, I find using the smaller/thinner ones means you likely will not need to cut them further after grilling. Summer Squash – Cut in strips or on the angle (oblong pieces) about 1.5-2 cm thick. Brown (Cremini) Mushrooms – You can use white button mushrooms but I prefer the flavour and texture of the brown ones, especially for the BBQ (Portobello also work well). Remove stems (and if using Portobello remove the gills as well). Green and Yellow Beans – Keep whole. These are probably best done in a veggie basket or foil packet. Fennel – Use small bulbs. Trim (keeping root intact) and cut in half. If only have large bulbs cut in quarters, try to keep root intact so that the bulb does not fall completely apart on the grill. Snow Peas – OK, I don’t actually grill these, but I do like the crunch they can add to a grilled vegetable salad and sometimes add them in. Beets – I love roasted beets. However, they take a long time so unless I am doing something that is going to be on the grill for a while I am unlikely to grill them. When I do, I trim the greens, peel them, and then cut into wedges. If they are small baby beets I may keep whole and remove skins after grilling. I also use a foil packet rather than put them directly on the grill. Toss vegetables lightly with oil – you don't want to soak them in oil, simply prepare them for the grill. Sprinkle with salt and pepper. Grill the vegetables in batches – depending on the size of your grill you can probably do a few types at one time. Start with the peppers (if whole) and the denser vegetables and then move to the ones that will cook faster. The amount of time will depend on the heat of your BBQ, the thickness of the vegetables, and how well done you prefer your grilled veggies. Once cooked, cut the vegetables into bite size pieces. Drizzle a nice balsamic or lemon vinaigrette over top (oil, balsamic vinegar or lemon juice, chopped fresh herbs such as basil, lemon verbena, Italian parsley, rosemary, thyme, etc. Your herb mixture will depend on the type of vinaigrette – lighter ones for a lemon base, stronger ones for a balsamic. Crumble goat cheese on top (if desired). I will often serve atop baby arugula. Jane Osler is the President of PJ Osler & Associates . Naomi Duguid is known for her extensive travel research of global cuisines and is the author of Burma: Rivers of Flavor and co-author of many other books including Hot, Sour, Salty, Sweet, Flatbreads & Flavours, Seductions of Rice, Mangoes & Curry Leaves, and Beyond the Great Wall. Join us on Monday, October 24 for a culinary talk, tasting and reception with Naomi as she visits Vancouver to celebrate her new book, Taste of Persia: A Cook's Travels through Armenia, Azerbaijan, Georgia, Iran, and Kurdistan. We're in for a real treat! Naomi always presents a deep and beautiful culinary understanding of the regions she researches. She will give a visual presentation about her extended travels to Persia and then sign copies of her new book. Cost: $75, includes a personalised copy of Taste of Persia: A Cook's Travels through Armenia, Azerbaijan, Georgia, Iran, and Kurdistan and light refreshments prepared from the book. Please call 604-688-6755 to sign up. * Author photo by Laura Berman. Squeeze a little lemon juice into a bowl of cold water. Peel and grate the potato and place in water. Prepare garlic, rosemary and shallots. Trim meat of all silverskin and fat. Cut into six noisettes (medallions). Season with salt and pepper. In a heavy pan on medium high, sauté lamb for 30 to 40 seconds each side. Just before cooking time, drain potatoes and squeeze dry. Mix in the garlic, shallots, rosemary, and salt and pepper to taste. Dip the noisettes into the slightly beaten egg white. Coat the lamb with the potato mixture, mostly on the bottom. Heat a generous amount of clarified butter in your heavy pan. Carefully lift the potato-covered pieces of lamb into the hot pan. Sauté until potatoes are golden brown. Remove from pan and drain on paper towels. Serve immediately. Duncan Holmes is a gentleman gardener who writes about many things, including food. This takes 20 minutes to make including picking the Greens. It is a wonderful light supper. Breaking the egg yolks over the salad makes it very rich and decadent. Add some beautiful bread and share with someone you like to be with! Put a large pot of water, at least 4 inches deep, on to boil. Add enough kosher salt so that the water tastes like the sea. Add the vinegar. While the water is coming to a boil heat a frying pan on medium heat. Cut the bacon into 1 inch pieces and add to the frying pan with 1/4 cup of water. Cook until most of the water has evaporated and the bacon fat has rendered. Add the shallots or onion to the pan, cooking until the onion is soft. Then increase the heat to medium high, and crisp the bacon. Pour the contents of the pan, including the bacon fat, over the greens and herbs. Grind in some pepper, sprinkle in some fleur de sel and toss; then add 1/2 cup of the cheese and toss again. By now the vinegar water should be close to boiling. Break the eggs into small cups, swirl the water, and gently ease the eggs into the boiling water. Cook the eggs for 3 1/2 minutes. Remove the eggs with a slotted spoon and drain on paper towels. Divide the tossed greens into 2 bowls and sprinkle with the leftover 1/2 cup of cheese. Set 2 poached eggs on top of each salad. Grind pepper and add a sprinkle of fleur de sel to the eggs. Enjoy! Heather Redfern is the Executive Director of The Cultch. Place prawn tails in a bowl, sprinkle with salt and toss. Let stand for 15 minutes. In a medium pan on medium high, heat olive oil. Add garlic, bay leaf, and chilies. Sauté for one minute, stirring constantly. Do not let the garlic burn. Add prawns and sauté until cooked through (about 3 minutes), turning once. Add a splash of white wine. Remove from heat and sprinkle with parsley. I serve this in a shallow bowl with lots of crusty bread and a crisp green salad. Any leftovers can be refrigerated and either served at room temperature the next day or tossed over hot pasta. Nancy Wong owns and operates Culinary Communications and is also the Director of Marketing for Vancouver TheatreSports League. This recipe takes a while to cook, but it’s very easy. Once the pot is simmering, there is ample time for a glass of wine and a couple of chapters of a good novel. If I am feeling extravagant, I add saffron to the spice mixture, but it is good without it too. In a dutch oven, or any large heavy pot, heat the oil over medium-high heat and brown the chicken. Remove from pot. Add onion, garlic, and ginger and cook until the onion is soft. Then add the spices and cook for one minute. Add the broth, chickpeas, tomatoes, honey, and olives. Bring to the boil, then lower the heat and simmer for 10 minutes. Season the chicken with salt and pepper and add it to the pot. Simmer for another 45 minutes, or until chicken is thoroughly cooked. Serve with couscous and garnish with cilantro leaves. Patricia Kells is our Publicity Manager for Penguin Random House Canada. Last night, Barbara-jo enjoyed a beautiful evening at The Vancouver Club. "A Night in Florence" was our theme, and the music, food, and company were absolutely delightful. Our special, hand-illustrated, menus by Roxanna Bikadoroff added the perfect elegant touch to an unforgettable evening. Actually, this entire month has been full of memorable events and learning. From transportive dinners with Chef Curtis Luk and Chef Quang Dang to workshops with Allison Spurrell from Les Amis du Fromage and Chef Robert Belcham, we feel as though we have been on holiday in Italy! We've also posted some new Autumn events to our website. You can see them all here. 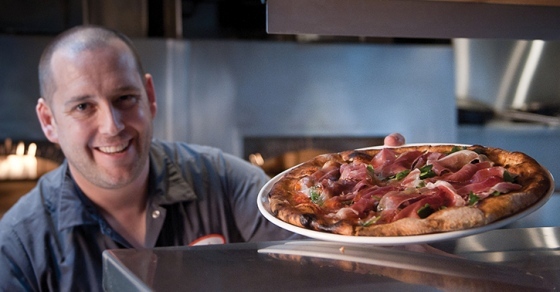 Enjoy the weekend, and MANGIA VANCOUVER! This is a handy and relatively quick meal for two that can expand for an extra guest with the addition of a little more pasta. I prefer to use mafalda pasta (it looks like mini lasagna noodles, with ruffled edges). Fusilli or rotini work well too. I use mild sausage but heat it up a bit with added red pepper flakes. In a large sauté pan over medium heat, cook the sausage, breaking it up into small pieces as it cooks. You may need to add a little olive oil, depending on the sausage. When it is cooked through, remove from pan and set aside. Prepare pasta according to the package directions. Add some olive oil to the pan and the fennel seeds, if using. Toast the seeds for about 30 seconds before adding the sliced fennel and onion. Sauté, stirring regularly, for about 5 minutes, until they begin to soften. Add red pepper flakes (if using) and garlic and cook for a few more minutes. I like some of the vegetables to be slightly browned. Depending on how salty the sausage is, you may want to add a little salt at this stage. Deglaze the pan with white wine and then add the sausage back in. Cover and simmer while the pasta finishes cooking. Drain the pasta, reserving a little of the pasta water. Add the pasta to sausage mixture and cook for a minute or two, stirring regularly until the remaining liquid thickens and coats the pasta, adding a little pasta water if needed. Season to taste with salt and pepper. Just before serving, toss in the arugula and stir once. It will wilt into the pasta. Serve with a generous grating of the cheese. Thomas Roach is a Vancouver based artist who specializes in stitched textiles. His work explores spiritual themes and community stories. As many of you already know, June is Italian Heritage month. And to celebrate, we have partnered with the Italian Cultural Centre to offer a taste of Vancouver's Italy. This month there are so many opportunities to explore the tastes, traditions and innovations of Italian cuisine in Vancouver, and we want to make sure you know all about it! And of course, we have a number of events happening too. Click here for our events page. We'd love to celebrate with you this month! Did you know that June 1st marks the beginning of Italian Heritage Month? During this month, our city will be filled with learning, sharing, and celebrating everything Italian. For us, the best way to celebrate is with food. We've partnered with the Italian Cultural Centre for this month's festivities and during the month of June we will be offering 15% off Italian cookbooks and hosting a variety of gatherings centred around a few of our favourite Italian books and dishes. Join us for a month of celebrations - MANGIA VANCOUVER! Clicca qui per i nostri altri eventi che celebrano il cibo e la cultura d'Italia nel mese di giugno! Click the image below for more information about a particular event. ** Please note there are only 4 spaces still available for this Sunday's dinner featuring My Kitchen in Rome with Chef Curtis Luk. We have a winner to announce! Based on your votes, we will be hosting another session of The One Book Club. Thank you to everyone who called in or emailed to record their votes. 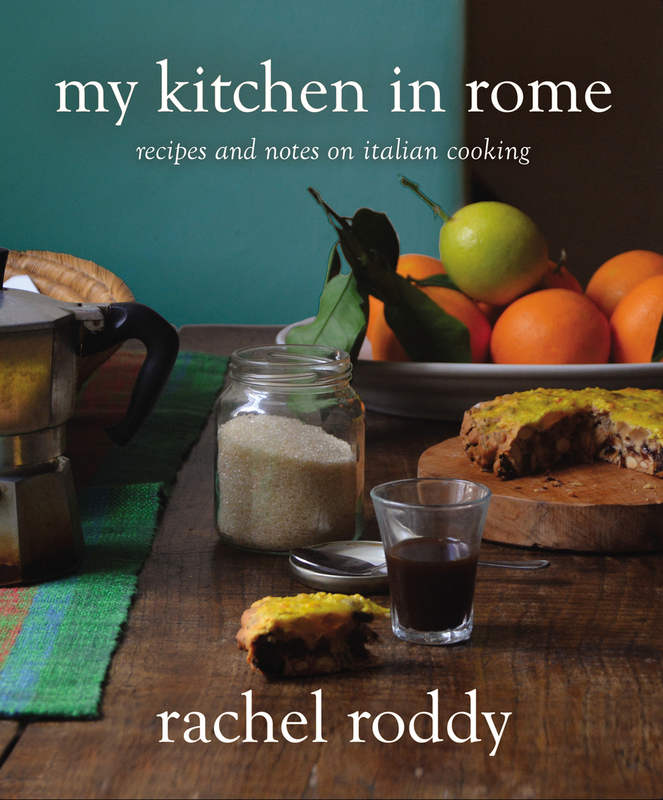 If you would like to sign up for this second session of The One Book Club, featuring Claudia Roden's fabulous book, The Food of Italy, please telephone the shop (604-688-6755). Click here for more information. Click HERE to see more of our upcoming social gatherings.